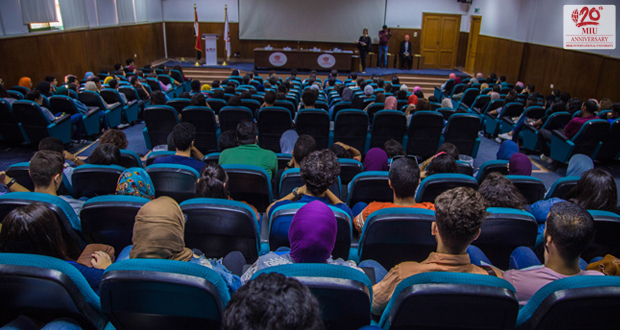 Misr International University held its annual Orientation Day for freshmen on September 20 and September 23, 2017. The first Orientation Day welcomed the Faculties of Dentistry, Pharmacy, Alsun and Computer Science. Meanwhile, the second day of the orientation was organized for the Faculties of Business, Mass Communication, Architecture, and Electronics & Communication Engineering. The orientations included a brief discussion of the academic year agenda and grading system. Furthermore, there was a clear outline of MIU rules and regulations. 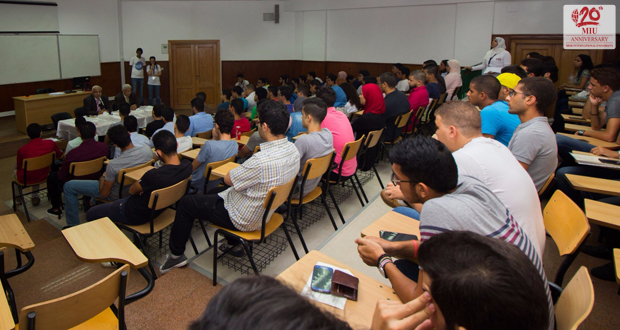 In addition, the Orientation Session offered all the information that may be needed to assist new students in their future at MIU. 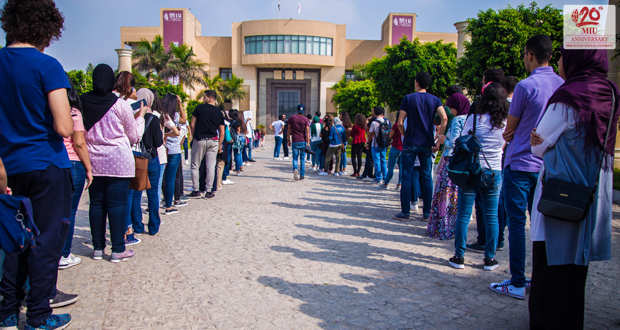 After the general orientation, the MIU staff provided a campus tour to acquaint students with the various facilities and service locations. Giveaways were given to make the Orientation Session a memorable one.